A while ago, I was searching for a dependable expense tracker and budget planner. 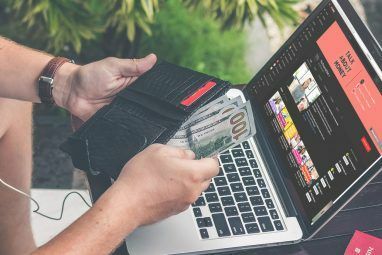 Presumably, a mobile app would be the answer, since it’s more convenient to record daily spendings on the go, right after the purchase is made. Along that that presumption, the mobile app should also feature an export or desktop companion. So my search began, and with over 500,000 iOS apps on the iTunes Store, it was surprising to find that there wasn’t a single solid app that would fit the criteria. 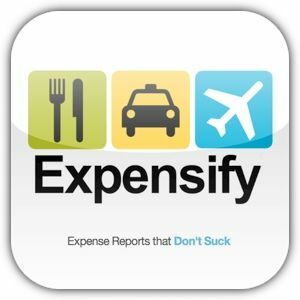 After trying several apps, I decided on Expensify. Did I mention that was in 2011? I’ve been using it ever since. Expensify isn’t a new service, it’s been around since 2008 and started as a web service. 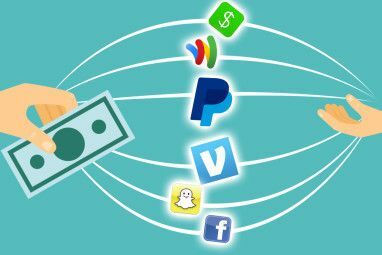 Today, not only has their web client improved by leaps and bounds; Expensify now offers an array of mobile apps for iOS, Android, BlackBerry, Windows Phone and Palm. An account is required to use the mobile app in tandem with the web client. I’ve been using Expensify’s iOS application, which is available for free from the iTunes App Store. It isn’t the slickest of apps in terms of design but it gets the job done. The Expense tab is the backbone of the application. It basically lists all of your expenses, displays the amount spent, and if a receipt is attached to that expense (denoted by the blue icon). Adding new expenses is as you would expect — pretty straightforward. As you can see, there are fields for every important detail needed to track your spending. Categories and tags may also be assigned to the expense; and although there are pre-generated categories to use straightaway, you can also tweak them or add new ones by logging in to the web client. Speaking of the web client, every expense logged with the mobile application will be immediately synced to Expensify’s secure servers. You will always have a record of your expenses online, which is always good to know in case your phone is missing or gets stolen. The application is also able to save an unlimited number of receipts using the phone’s camera. Sure, there’s nothing exciting about that. However, Expensify recent launched a very impressive service called SmartScan. It works by scanning unattached receipts and automatically generating an expense for you (so it’s basically OCR). The SmartScan function is housed in the Receipts tab. Tap on the large button to add a new receipt, then use your phone’s camera to snap a photo of it. As long as the receipt is clear and legible, SmartScan works quite well. To begin, tap “SmartScan now”. SmartScan needs a bit of time to analyse the image; and for me, took up to 10 minutes to scan a single receipt. However, it’s extremely helpful if you have a bunch of receipts and you’re not in the mood to enter them individually. Free accounts are allocated a maximum of 10 free SmartScan requests every month. Additional SmartScans may be purchased for $0.20 each by upgrading to a Professional Expensify account. Alternatively, you may also receive extra SmartScans by inviting your friends to join Expensify. You’ll receive 10 bonus SmartScans for every person who creates a new account. Although the mobile app is capable of generation reports while on the move, it’s not nearly as functional as the web version. It will let you pick the expenses to be included in the report, but little else. For travelling corperate employees who are required to submit their expenses in order to be reimbursed, the mobile report exporting feature may be invaluable. As an expense tracker, Expensify’s iOS app is fantastic. Coupled with its web client though, there’s simply no competition. Do you agree or have you managed to find a better solution? Wow, this is a cool app. Expense reports are on of the most time consuming bookkeeping tasks. 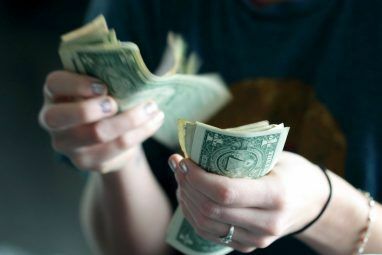 A startup company of two employees and one director can spend as much as 12 hours a month keying in personal expense claims. For this reason staff dread the task of submitting monthly expense claims, and are often late presenting expense claims to management. Thanks for sharing. I just signed up and I'm still going thru the Help Topics. Is there a way to put in different accounts? Say, I have 2 savings account which I'd like to track my expenses and transfer cash between the 2? Simply no competition? Certify just launched ReceiptParse, which automatically pulls up to 13 expense fields from the receipt image in real-time (no 10 minute wait!) and it's free and all you can eat too. You bet there's competition! Hi Alan, since you work for Certify, can you please tell us if Certify offers a free tier account? I use this program all the time. It has an app for my iPad and my Android as well. As a college student, it comes handy to see where I spend the most and where I can improve my spendings. I love the camera feature on this program but just wish it was easier to link accounts for things such as this. The fact that it has an app though will make me try it over my current use of Adaptu. Actually, you can add a US bank account or credit card and automatically retrieve your expenses. Sure! Here's a list of supposed US banks/cards. You'll also find a link to help you get started with automatic imports. I've bee ntrying to use a tool like that, but if you dont fill in every time you buy something, it has almost no use. I keep the receipts and when I have time, I either enter them into my phone or use Expensify's web client. Super convenient! Back in the day when I traveled 90% of the time, this would have been great for me, but now it is a little late in the game. I have informed some of my buds about his and they appeared to be very interested. Thanks for spreading the word, Tom! nice :) thanks for sharing!